When it comes to painting faces it is usually in the form of a painted portrait. This is about actually painting on faces! 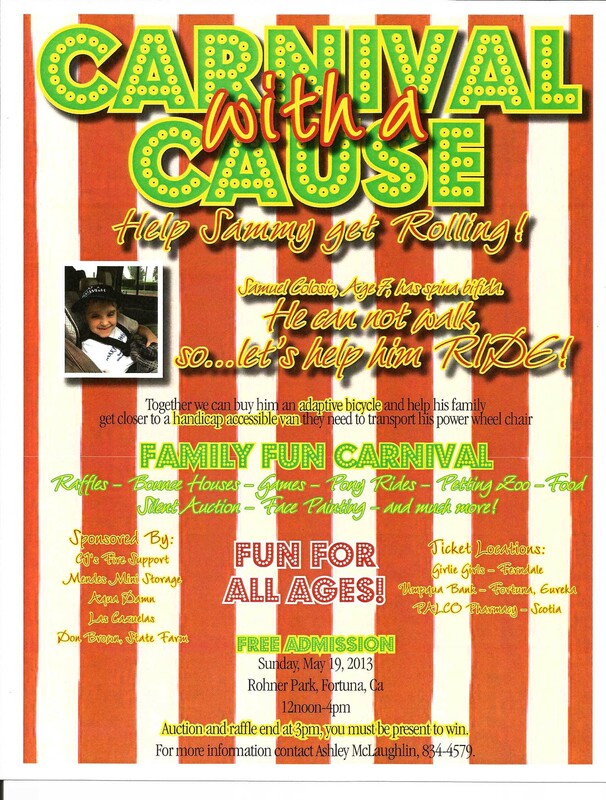 On Sunday afternoon, May 19th, at Rohner Park in Fortuna I’ll be doing some face painting for a cause that is dear to my heart because it is about a very special little boy. Samuel, who was born on my birthday, had a rough time coming into the world. He was born with spina bifida, but he was also born with a heart of gold. He is very bright and brave. Samuel has had to endure seventeen surgeries in his first seven years of life. He likes art and we painted together one day. Samuel needs some new equipment to help get him transported from place to place. He is trying to learn to walk, but it is going to be an uphill climb. There is a lot he faces in the way of obstacles, but like I said, he has a heart of gold. If you are in Humboldt County, please come join us at the park on May 19th. I’m painting faces from 1-3 PM. If you live out of the area, but would like to help, you can send some support to Samuel. His family is active at the Hydesville Church – P.O. Box 609, Hydesville, CA, 95547. Just be sure to write “for Samuel’s wheels.” Samuel’s family believes in serving others, even when life is hard. His mom leads a program for young mothers and his dad helps the church and community in many ways. 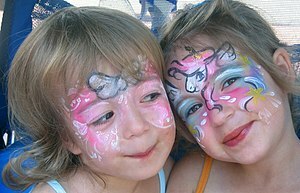 So at this Carnival with a Cause, I look forward to painting a lot of faces…sweet, innocent and squiggily-squirmy ones to help out Samuel. Hope to see you!